How do I share my infographic privately? 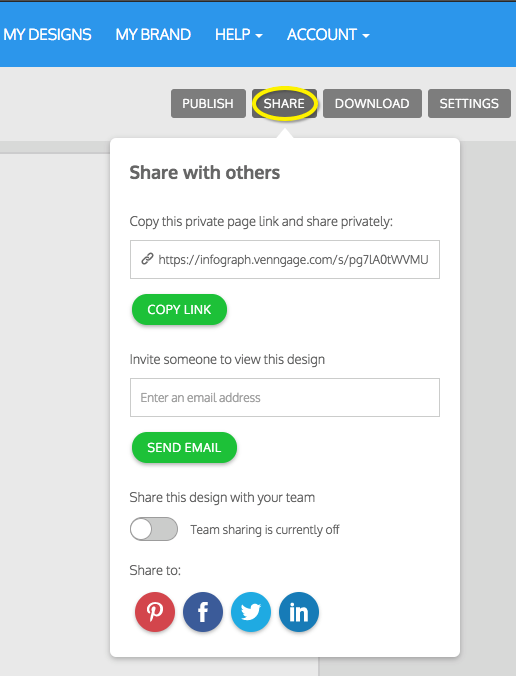 If you’re ready to share your work privately, click on the 'Share' button located on the top right corner. 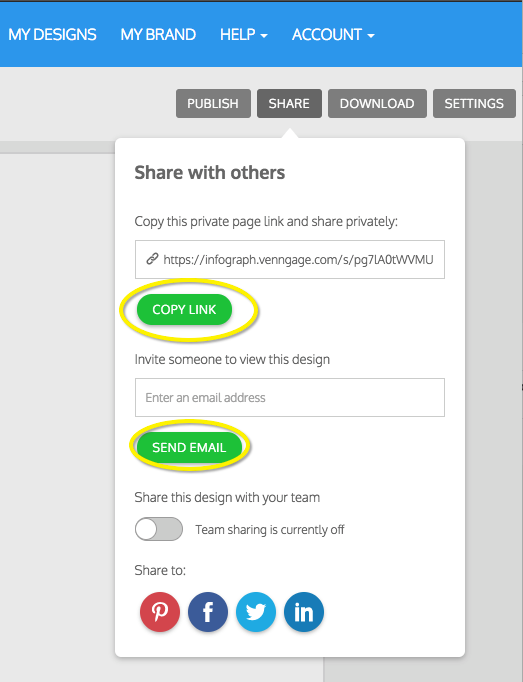 You can enter one or more email addresses and click 'Send Email' button or you can copy the "Private Page Link" to distribute as you wish.